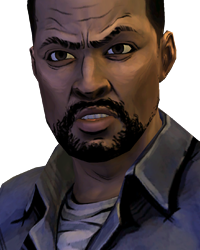 in ep3 when Carver stopped hitting Kenny ..Clementine was lying on the floor ... why didn't Luke comfort her? or anyone else... the only person that comforted her was Bonnie ! Kenny was hit he couldn't do anything and Sarita was crying ..
Well... I'm #TeamBonnie but the reason as to why no one else intervened is because they would've gotten beat up too. Bonnie was allowed to do it since she already was part of the group and Carver would be less likely to hurt her. Yes go Bonnie! Even though your one of the main reasons we got into this mess, you've made up for it and have done more to help than many others. BIKE WILL RUN OVER ANYTHING IN ITS PATH. KENNY AND LUKE, BEWARE OF BIKE. Both ship and team, Mike and bonnie are the only likeable people in Clem's group. Team Bonnie and Team Mike master race.